Ben Dow is a Tri-City native and third generation attorney. Ben graduated from Hanford High School before receiving his undergraduate degree from Washington State University. He went on to receive his law degree from one of the top-ranking law schools in the country, Wake Forest University School of Law in North Carolina. Ben returned to Richland in 2006 to practice law with his father; a local attorney that has practiced law since 1980. 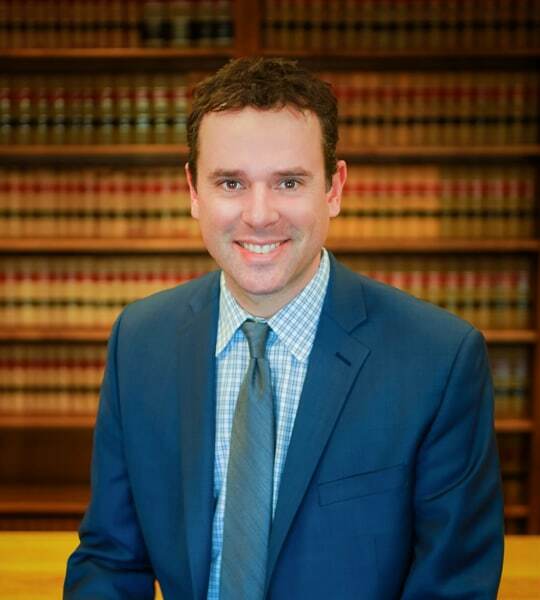 At Roach & Bishop, Ben continues to focus his practice on Family Law, Juvenile Law, and Appellate Law. When Ben is not working as an advocate for his clients, his diverse personal interests include fly-fishing, travel, and non-profit work. Ben is a former professional Alaskan fly-fishing guide that remains involved in the Pacific Northwest fly-fishing community. Ben has also spent considerable time traveling and volunteering abroad, with a focus on helping impoverished communities and children. During Ben’s most recent extended volunteer trip, he lived in a Liberian refugee camp in West Africa and worked with children affected by civil war.